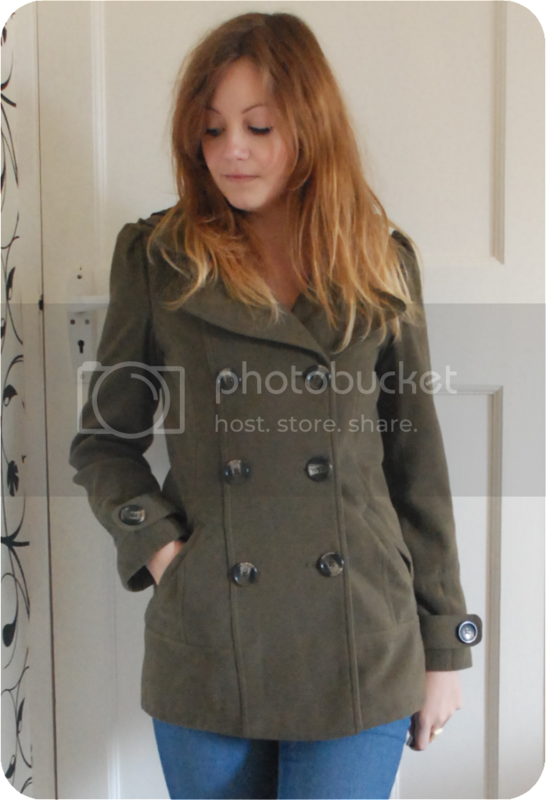 Bought this coat a month or so ago from New Look - lovely double breasted pea coat, which was in the sale so I got it for around £30! 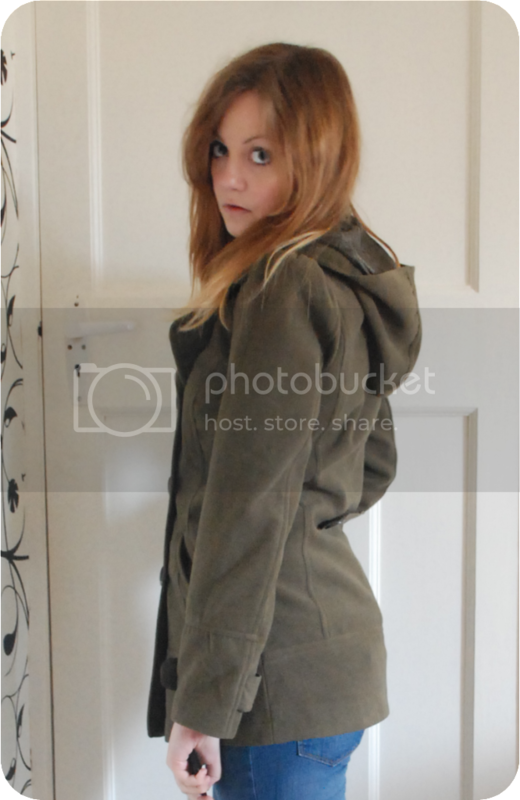 I love this coat, despite it being quite thin... It's definitely an autumn or spring coat, rather than winter. It's a little tight around the shoulders, so I can't move my arms very well in it, but I've pretty much forgiven that little problem since it's such a gorgeous little coat. I'm off to the Christmas Blogger Meet tomorrow night, hosted by MyStreetChic.com - my first ever blogger meet up, so I'm very excited but very nervous! Just bought a dress (only from Primark!) which probably isn't as 'dressed up' as one should look for a Christmas party, but I was very limited for time and money! I'll also be looking very black... So I probably won't be very noticeable. Saying this, I hope I can still go as there's snow due to appear! If snow does fall in Bristol, I'm going to have to go home to Bath due to trains :( fingers crossed! I'll be there, also wearing a black Primark dress haha hope it isn't the same! 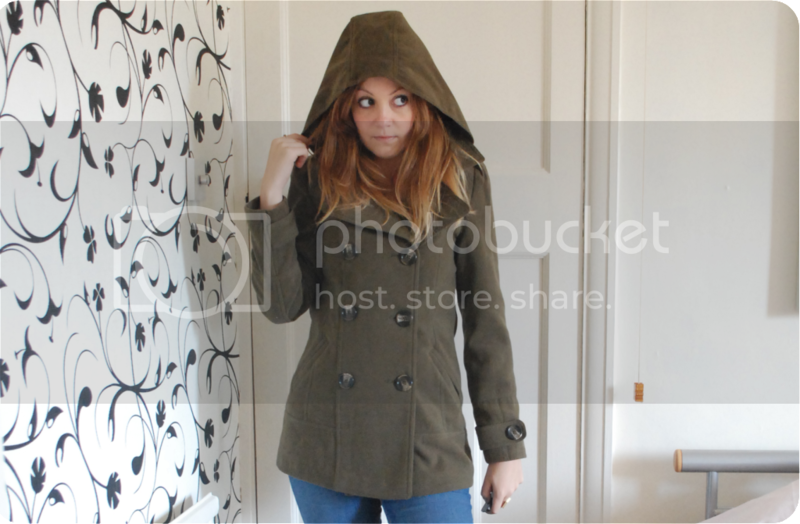 This coat is actually really lovely, and for £30 even better!